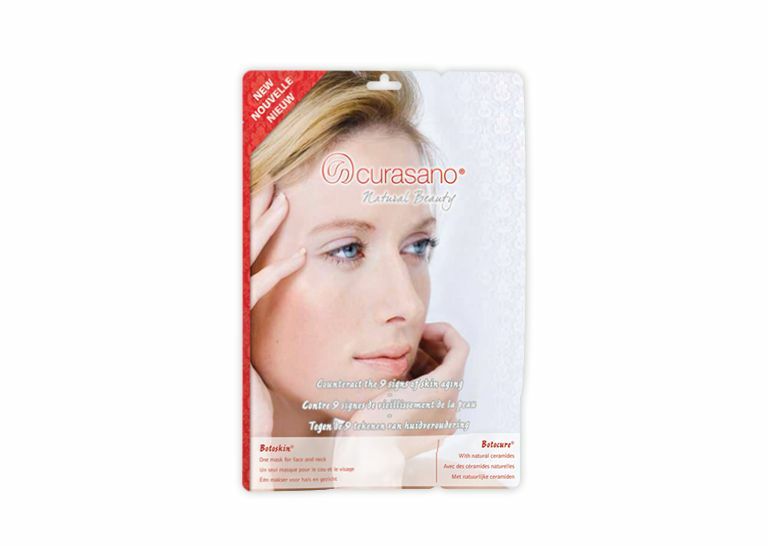 The Curasano® facial masks make use of a unique and innovative technology that resolutely removes signs of aging and addresses the issue at the cellular level. The masks contain the purest plant extracts and minerals enriched with pure vitamin substrates that are processed with a patented peptide complex. The strong and stunning result was made possible by innovative international research and by choosing the purest ingredients. The strong anti-wrinkle effect provides a unique and safe alternative to Botox® injections. Each treatment contains two parts, the facial mask Botoskin® and finishing gel Botocure®. These two parts complement each other perfectly and provide a guaranteed double effect. Botoskin® is a facial mask that is a safe alternative to Botox® injections. The peptide complex causes the muscles in a state of hypertension to rest, which causes even the deepest wrinkles to fade. Biogold intensely enhances the absorption of the active components in the deeper layers of the skin and these natural ingredients allow the skin to activate its own proteins. The mask provides the skin with nutrition, improves the condition of aged skin, stops emerging wrinkles, refreshes skin cells and provides full hydration. 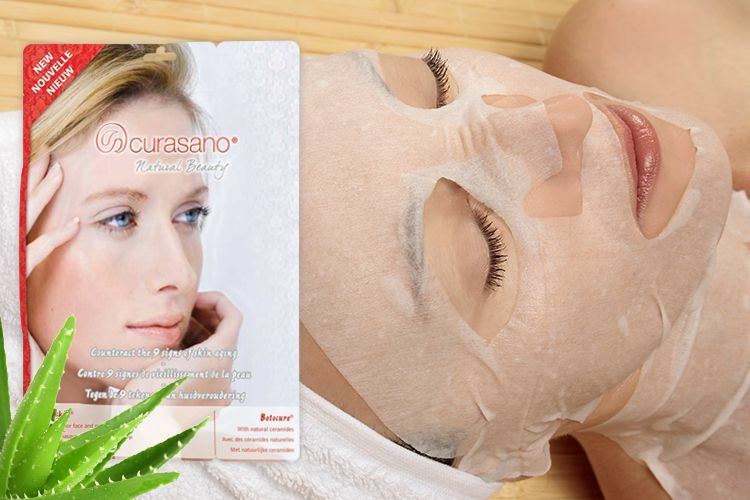 This facial mask can be used in conjunction with other programs of skin care. The Botoskin® facial masks are suitable for all skin types. This finishing gel enhances the effect of the Botoskin® facemask. The unique effect of Botocure® is that it immediately fades wrinkles and activates the natural regeneration of the skin cells, the facial muscles relax and make the skin elastic, soft and smooth. Biogold ensures the inclusion of the active natural Ceramides Botocure® of the finishing gel in the deeper skin layers, provides a complete hydration and provides the nutrients for a healthy and young skin. Botocure®, combined with Botoskin®, fades the wrinkles even after the first use. The Botocure® finishing gel is bundled with the Botoskin® facial mask.